Psalm 8:4-9 What is man that you are mindful of him, and the son of man that you care for him? You have given him dominion over the works of your hands; you have put all things under his feet, all sheep and oxen, and also the beasts of the field, the birds of the heavens, and the fish of the sea, whatever passes along the paths of the seas. We packed all these kids into one of the small new classrooms behind the Vida Nueva Church in Tamazula. Those of you who have visited us know that this was not a small feat! It was cozy, but everyone had a blast. Keala, a visiting missionary from Michigan, led the class and brought with her these really cool mobiles about Noah and the flood. The kids all seemed to enjoy themselves a lot, and they thought it was neat that they had not one, but TWO red-headed teachers! It was great to have Keala visit us, if only for a short time. Pray that God would continue to raise up missionaries who will step out in faith to share Jesus with others! 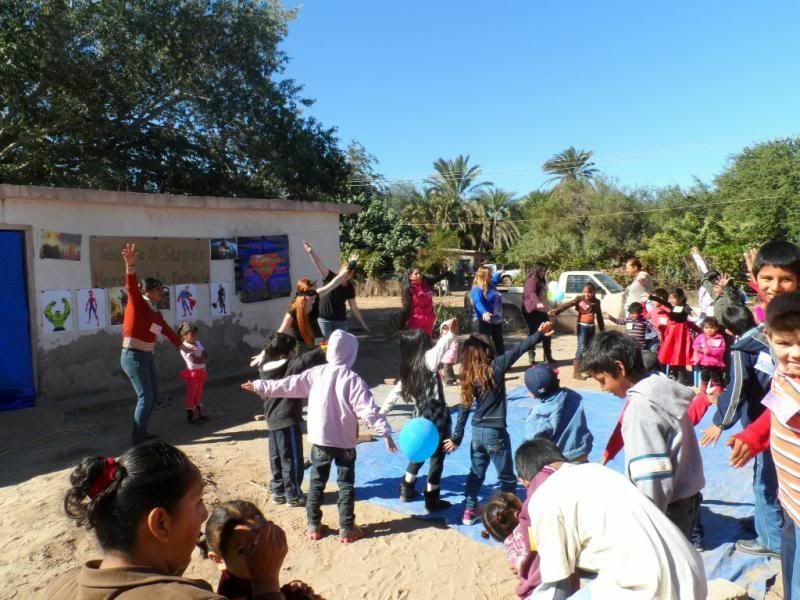 Our children’s event in Las Flores with Pastor Braulio went exceptionally well. All of the ladies from our fellowship in Las Glorias were able to attend, and they said afterward that they were incredibly blessed by the time. None of them, besides Luz, had ever helped with a children’s outreach or a VBS, and only a couple of them had even attended an event like this. It was wonderful to see these new believers step outside their comfort zone and watch God work in their lives! Pray that we’ll have an opportunity to do more outreaches like this in the future where the believers in our community can participate and grow in their faith. 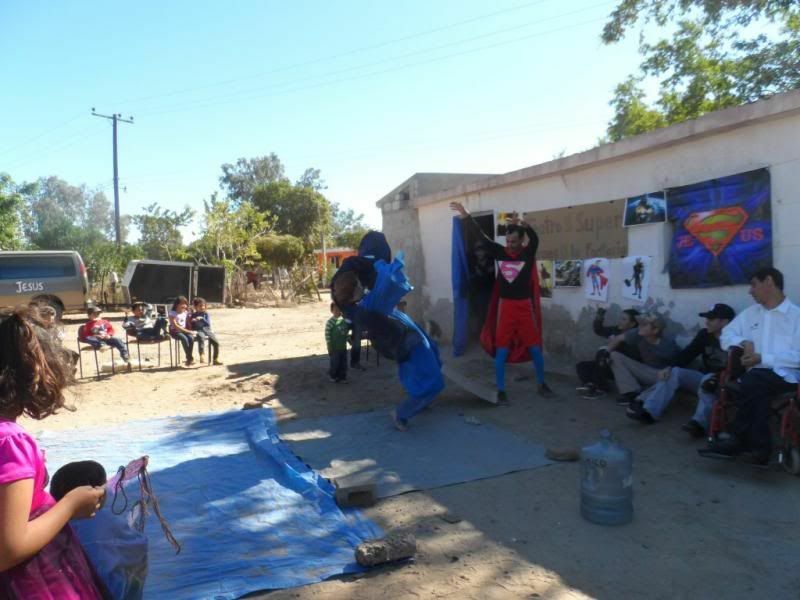 The theme of the children's outreach was “Jesus Christ is my Superhero”, and our drama team created and performed skits based on that theme. They were truly amazing! Children, parents and team members alike were spellbound as “The Director, Vladimir Chan-Gupta Alejandro Juan-Esteve” tried to convince Mrs. Christian of the superiority of his superheroes. At the end of the day, he was unsuccessful. Luz, a.k.a. Mrs. Christian, proved beyond a shadow of a doubt that the true heroes of the Bible are much more "super" than those of The Director's theater. Thank you to everyone who gave toward this outreach and to everyone who has been lifting this event and the community of Las Flores in prayer! We believe that God is going to do some big things in this little village! 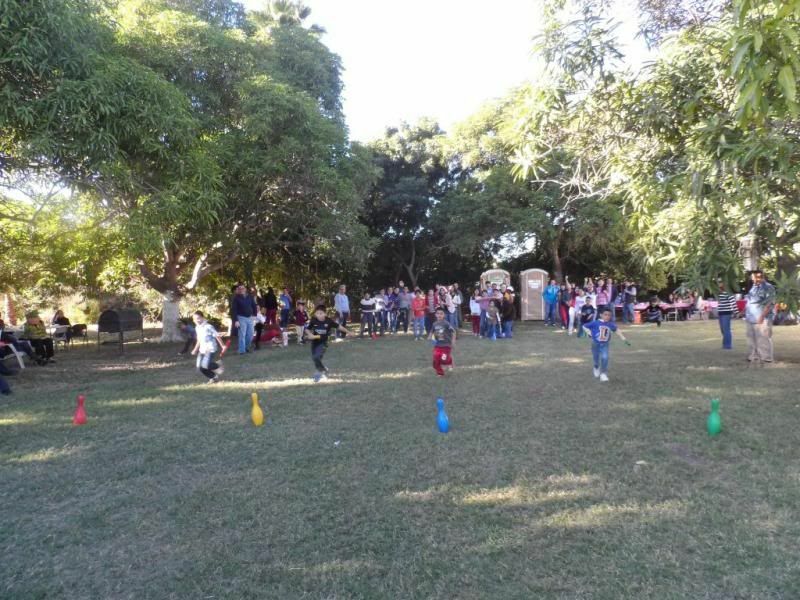 At a church picnic in Los Mochis last month, the AWANA leaders organized games for "kids of all ages". It was so much fun to watch kids, youth and adults playing the games we used to play during our Wednesday night AWANA meetings in Oregon. AWANA, called OANSA in Mexico, is a program that we haven't been involved in here yet, but we're praying that if it's God's will, He would open the doors necessary to start OANSA in our village. Job 7:12 Am I the sea, or a sea monster, that you set a guard over me? Planning continues for a mission trip to Vera Cruz, Mexico, in February. Please continue to pray that God would pull all the loose ends together and that He would be glorified through and in the lives of each person involved in this scouting mission. We'll be sharing more information about this trip very soon. Praise God for the youth event we were able to hold last month at the Aposento Alto in Las Glorias. About 80 youth were able to attend, and it was a huge blessing to all! Thank you to everyone who was praying for this outreach! Praise God for the opportunity we have here to impact the lives of so many children. Pray that God would continue to use our family and our ministry here in Las Glorias to His glory! Pray for Joaquin and his family as he continues to build his doughnut business and they continue to homeschool their kids. Pray also for provision -- we are hoping to begin construction on their house this spring! 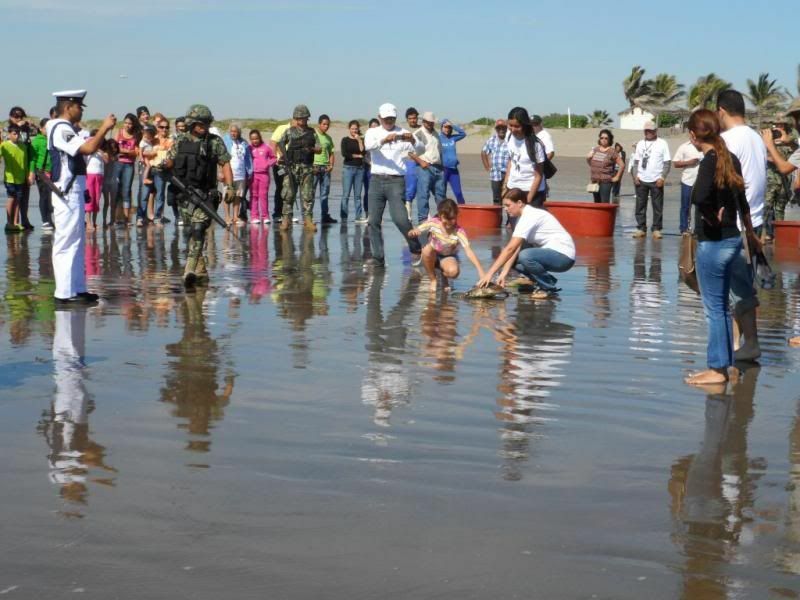 Pray for Tino and Elizabeth and their family, who have stepped up to pastor the Vida Nueva Church in El Serrano. They are suffering trials and persecutions as they serve, but they continue to praise God in every situation! 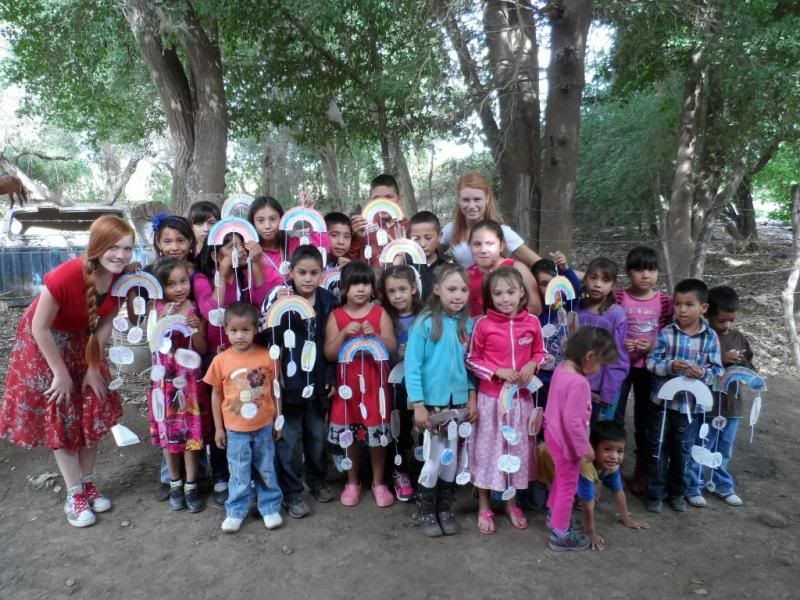 Pray also for a youth event we will be coordinating at the Vida Nueva Church in El Serrano tomorrow. Our family will be leading music and Joaquin will be sharing the Word. Pray that youth will come and that they will be positively impacted! Pray against attacks from the enemy and that God would be glorified in every moment! Pray for wisdom as we plan events for the coming year.